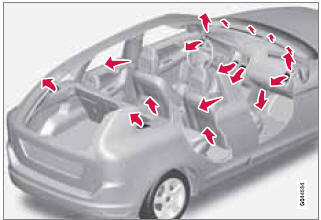 The incoming air is distributed from a number of different vents in the passenger compartment. Air distribution is fully automatic in AUTO mode. If desired, air distribution can be controlled manually, see page 146.